Hello from AMC NH-JAG 2015! What’s JAG you ask? JAG (Jobs for America’s Graduates) is a federal dropout prevention program for at-risk youth. Many JAG programs offer a summer work component to help their students gain work experience before graduation. This is the fifth summer that the AMC has partnered with local JAG programs to offer summer jobs on a trail crew. After weeks of training, scouting trail projects, and preparing for the season, we started work with the Woodsville High School JAG students two weeks ago. The first week was spent working on the Chippewa Trail (on Black Mountain in North Haverhill, NH) where we built timber check steps in a continuation of a project started last year. 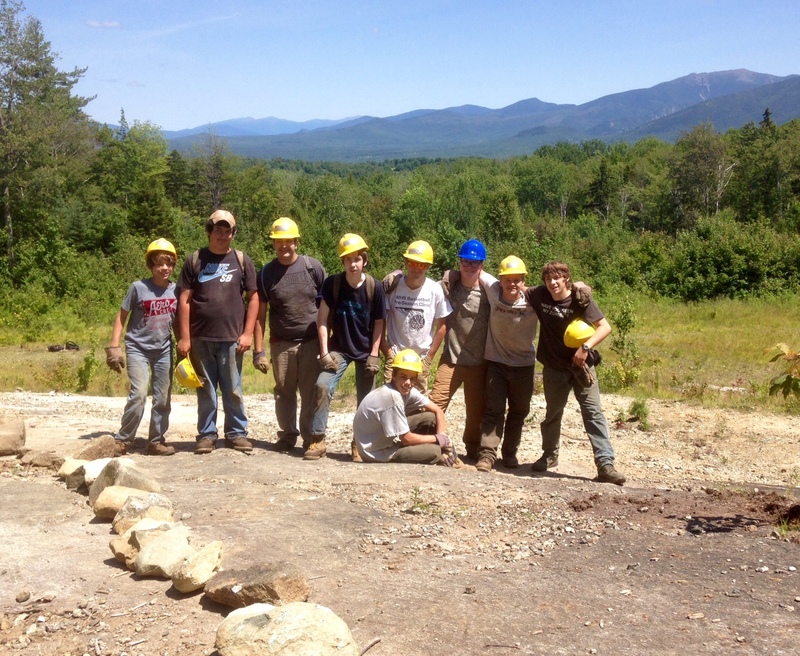 This past week, the crew worked in Cooley-Jericho Community Forest in Sugar Hill, NH. This is an area that was intensively logged until the Ammonoosuc Conservation Trust purchased it in 2011. 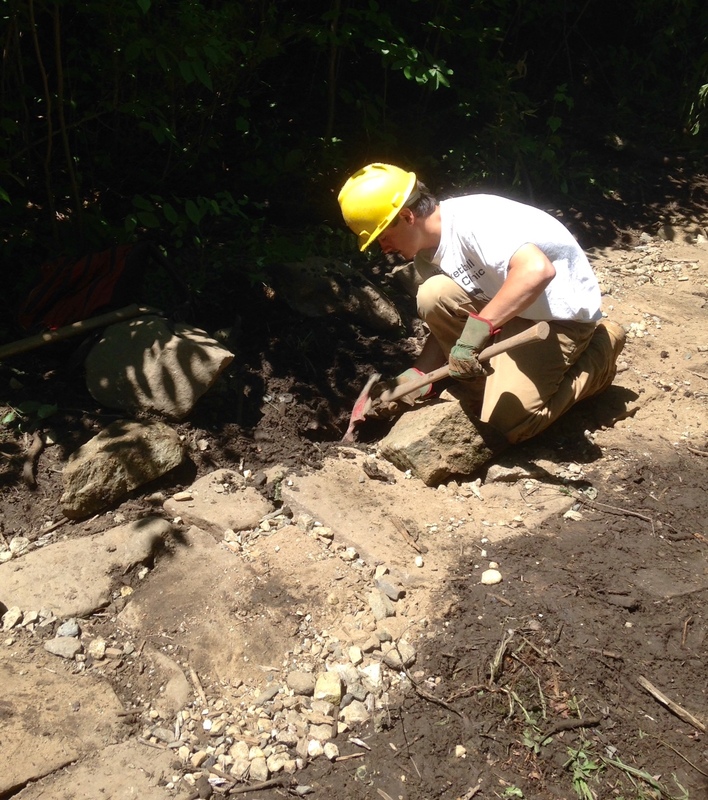 Earlier in the summer, AMC volunteer crews installed bog bridges on a muddy section of skid road-turned-trail. This past week, our JAG crew added two more bog bridges to complete this section of trail. However, our main project consisted of ‘armoring’ 45 muddy feet on another trail. 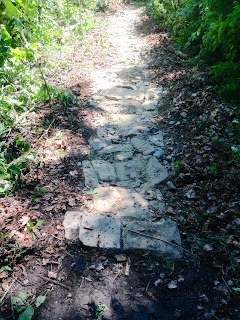 ‘Armoring’ is a tread-hardening technique for mountain bike trails that amounts to paving the trail with a mosaic of flat-topped rocks. This project was a great introduction to rock work for our crew, which will be building a rock staircase on the Lone Oak Trail (Bath, NH) next week. 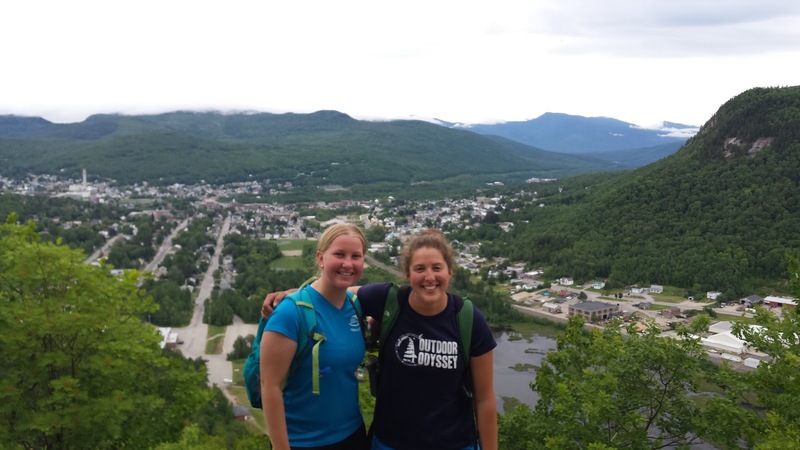 Stay tuned for more updates from the AMC NH-JAG trail crew as our season continues!